What we love about living and owning a box in a resort town is the fact that we get so many visitors! Our box is located at 2645 Jacob Circle in Steamboat Springs CO. It would be preferred that you sign up online so we are prepared for your visit. If not just show up 10 minutes early so we can take care of the necessary paperwork and get to know you a bit. All drop-ins must sign a release of liability and pay before class starts. The coach also has the right to scale your workout based on your experience. $10 friends and family discount – FREE with purchase of t-shirt or tank! 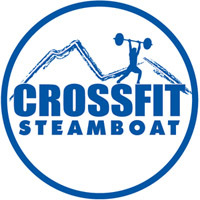 *Special training situations please contact us directly before your stay in Steamboat.